A few months back, I had the chance to work with Pink Fashion for a video that was used for their launch. Today, I'm glad to be working with them again to bring you a giveaway! They're so generous that we'll be picking FOUR winners for this giveaway. 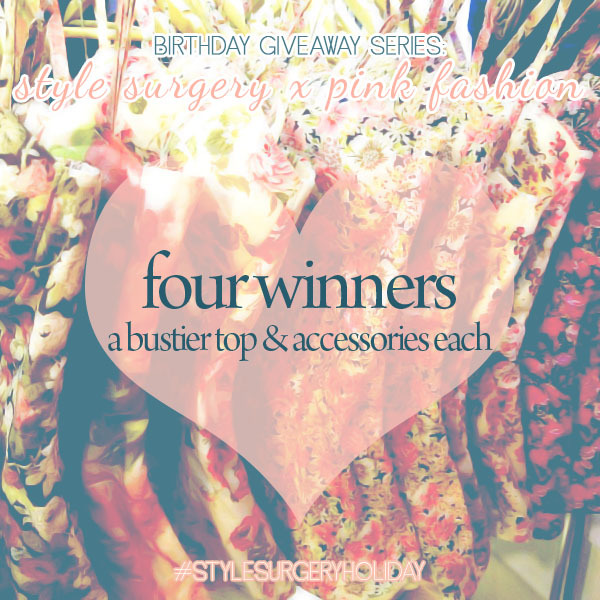 for #STYLESURGERYHOLIDAY (click to see ongoing giveaways)! Yay! Thank you for sharing another giveaway! Wish me luck! (: God bless!